The heat is on! On the street, on the stage, and on the bartenders. 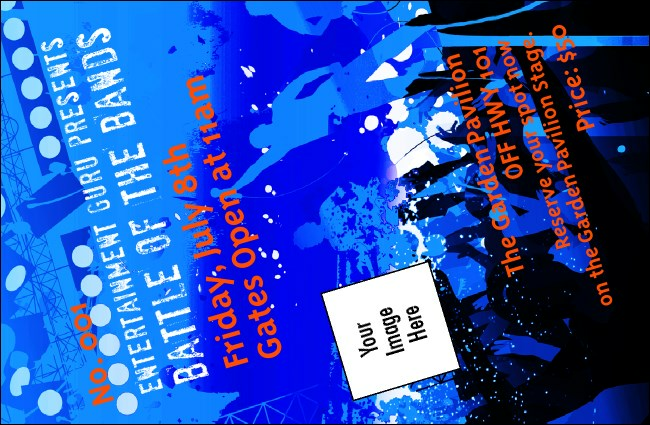 Cool it down a little with the Rock Concert Blue Drink Ticket, a chill number that lets you upload your own image to the template and even select a matching Event Kit so you can find other other publicity materials with the same design. Finding the right design at TicketPrinting.com is like a drink of cool, cool water.